He’s a retired Canadian Lieutenant-General trying to end the world’s use of child soldiers. 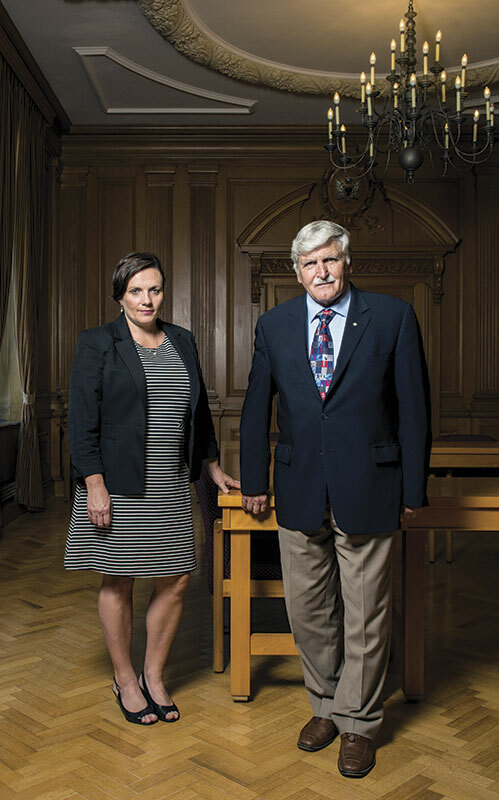 She’s an academic who was brave enough to tell him, “You’ve been doing this wrong.” Together, Roméo Dallaire and Shelly Whitman have forged a powerful partnership aimed at ending the use of children as weapons of war. That’s how Roméo Dallaire, retired Canadian lieutenant-general, describes his “sin of omission” in his first encounters with child soldiers. The words are spoken with an almost spiritual heft—a nod, perhaps, to the general’s Roman Catholic upbringing. But they’re also informed by the experience he’s best known for: witnessing the 1994 Rwandan genocide as force commander for a United Nations peacekeeping force, serving valiantly to try to save lives but proving ultimately powerless to stop the horror unfolding around him. LGen Dallaire and his colleagues on the Rwandan mission certainly noticed, early on, that some of the soldiers they encountered appeared rather young. They also came across militia groups with children in their ranks, but they seemed more like street gangs to an officer like LGen Dallaire, trained for years to see “soldier” as a particular class of individual. It was only when the war broke out that it became clear these children were not just there to play war—they were weapons of war themselves, on the front lines of a massacre that killed hundreds of thousands. It’s a drive that led the General to found the Roméo Dallaire Child Soldiers Initiative, an international partnership that aims to eradicate the use and recruitment of child soldiers. Since 2010, the Dallaire Initiative has been hosted at Dalhousie University under the watch of Executive Director Shelly Whitman, who worked with the General during her time as a faculty member with Dal’s Department of Political Science. Together, the two have developed a novel approach to the issue of child soldiers, one that takes into account security sector actors often missed by traditional humanitarian efforts. Today, the Dallaire Initiative is active across three continents and nearly a dozen countries in training, research and advocacy. It’s offered advice to NATO, drafted UN Security Council resolutions, consulted on new guidelines for Canada’s armed forces and assisted with the creation of a new policy on children for the Office of the Prosecutor of the International Criminal Court, in the process becoming a leading global voice on the topic of child soldiers. Demand for its programs is growing rapidly as governments, military leaders and international bodies alike start to realize that traditional ways of addressing the use of child soldiers have failed to prevent their recruitment — and that a future without child soldiers isn’t a pipe dream, it’s within their power to achieve. Lewis and LGen Dallaire have crossed paths many times in their work, but Lewis’s most important contribution to the Dallaire Initiative might be his influence on Dr. Whitman’s career. It was Lewis who recruited Dr. Whitman, fresh out of her PhD, to serve as a researcher on an African Union panel investigating the Rwandan genocide. That’s where Dr. Whitman first met the General in 2000. Soon thereafter she had her own first encounter with child soldiers, when she was head of research for the facilitator of the Inter-Congolese Dialogue, Former President Masire of Botswana, in the peace process for the Democratic Republic of the Congo. She recalls a moment when two children serving as her guard detail asked her for cigarettes, a request to which she responded with an almost “holier than thou” tone on the importance of her impartiality. “I treated them like children but, afterwards, I realized that might not have been the smartest way to talk to them, given they were armed with AK-47s,” she says. Meanwhile, after several years revisiting the Rwandan genocide in front of panels, politicians and people around the world, LGen Dallaire had come around to the one topic he admits he hadn’t really unpacked from his experience: the use of children. Having retired from the military, he had the chance to speak about child soldiers in Rwanda at an international conference on war crimes and children in 2000. That led to a cascading series of events that drew him further into the issue: working in Sierra Leone at the end of its conflict as an advisor with the then-Canadian International Development Agency; conducting research as a fellow at the Carr Centre for Human Rights Policy at Harvard; and, in 2007, starting the Dallaire Initiative. In those early years, the Dallaire Initiative was doing a lot of theoretical and modelling work, working with former child soldiers, diplomats and academics to reinforce what was known about the massive and growing use of children in conflict. It’s at this point that the General and Dr. Whitman once again crossed paths. At the time, Dr. Whitman was deputy director of Dal’s Centre for Foreign Policy Studies (now the Centre for the Study of Security and Development), and was trying to arrange for the General to speak on campus. Because of her research interests, she ended up being invited to contribute to the Dallaire Initiative at workshops and meetings. Dr. Whitman and LGen Dallaire shared an interest in moving beyond the theoretical into a field-tested, practical toolkit to help reduce the use of child soldiers. They believed that targeting security sector actors—military leaders, soldiers, police officers, prison administrators—was the missing piece of the puzzle. A 2009 training workshop in Botswana, spearheaded by Dr. Whitman, involving military, police and child protection workers from across southern Africa represented a key milestone in their work—a first proving ground for their ideas. LGen Dallaire was deeply impressed by what Dr. Whitman was starting to develop, so much so that when it became clear the Dallaire Initiative needed an institutional home base—rather than simply being a loose organization of partners—it made sense to hand the reins to Dr. Whitman and base it out of Dalhousie. 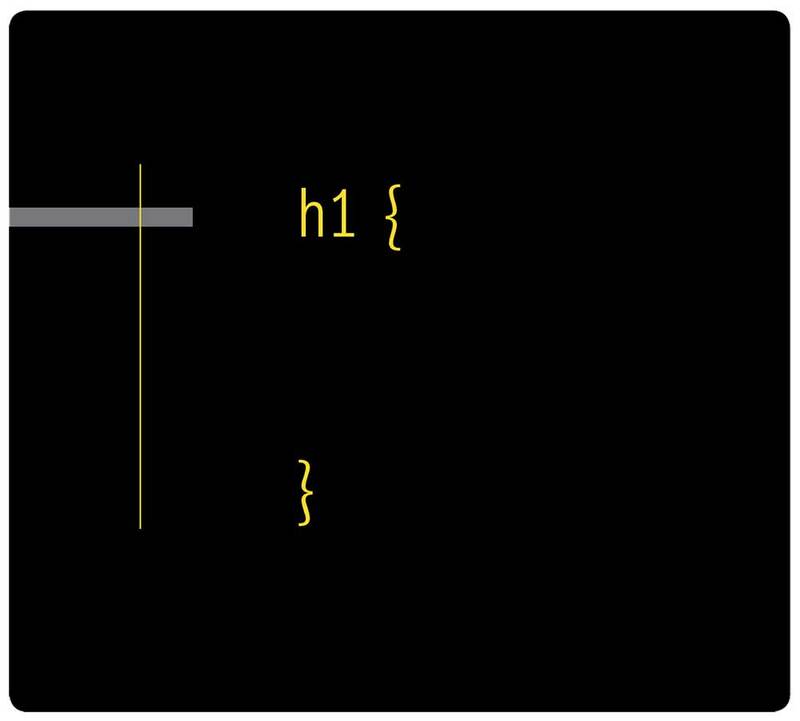 There’s a clinical method to the way both Dr. Whitman and LGen Dallaire describe their work. They speak of children in conflict as a “weapons system.” They refer to their methods as a “product.” For such an emotional, human issue as child soldiers, it’s an approach that may surprise some. To understand the Roméo Dallaire Child Soldiers Initiative’s approach, it’s helpful to think of child soldiers in terms of supply and demand. Much of the humanitarian and development work being done by various international agencies and NGOs is focused on supply: conditions of poverty, education and low quality of life in general that make children targets for recruitment into combat. But the dark secret of child soldiers is that they’re used not just because they’re available, but because those who use them believe they are effective. Children are fast, small and, with the decreasing size and weight of automatic weapons, can handle the weapons more easily. They’re easier to coerce, control or co-opt than adults, and in many countries it’s seemingly simpler to replenish depleted ranks with children than to try to recruit grown men and women to the front lines. Addressing this demand and reducing incentives to use child soldiers means working with the sorts of individuals who’d use them in the first place: soldiers, generals, police forces, militias. And it also means training those who may end up encountering child soldiers on combat or peacekeeping missions on how to handle those situations in the field. The Dallaire Initiative’s flagship project to date has been its work in Sierra Leone, a country which had more than 10,000 child soldiers in use during its nine-year civil war but today is becoming a major peacekeeping force throughout Africa. The project has been deeply embedded within the country’s national security structure, leading training and support for soldiers while at the same time launching an education program for children. Sierra Leone is also the country in which the Dallaire Initiative conducted its first “train the trainer” course, which has now become the staple of its approach. And thanks to funding from Canada’s Social Sciences and Humanities Research Council (SSHRC), Dr. Whitman has been able to properly evaluate the impact of the Dallaire Initiative’s programs. 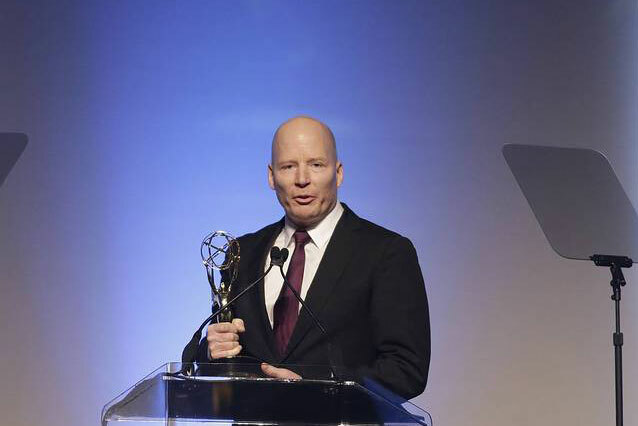 “The idea was: could we build a preventative model for a country?” explains Dr. Whitman. Sierra Leone represents a great proving ground for the Dallaire Initiative’s work: not only has it had child soldiers in its recent past, but it’s a country looking to strengthen its role on the international stage. All three of Sierra Leone’s security services are on-board—prisons, police and military—complemented with the creation of education materials for children. “It’s allowed us to build a bottom-up, top-down approach, a system we can then take and replicate in other contexts—including ones that are actively using child soldiers,” says Dr. Whitman. One of the more actively intense regions the Dallaire Initiative has worked in over the past year is South Sudan. It’s a civil war rife with the use of child soldiers—numbers in the 20,000 range, although Dr. Whitman says based on what she saw on the ground she’d be shocked if that number wasn’t larger. And yet, the Dallaire Initiative was able to make an impact with its approach. In one situation, it convinced a rebel commander to release the last 300 children from his ranks. In another, Dr. Whitman and LGen Dallaire were able to achieve something that had stymied other NGOs: face time with the country’s Minister of National Defence and Chief of Defence Staff. That led to an opportunity to present to nearly 40 senior officers in the Sudanese People’s Liberation Army (the national forces), making their case as to the tactical disadvantages to using child soldiers and the long-term impacts this has on overall peace and stability as well as the country’s economic growth. 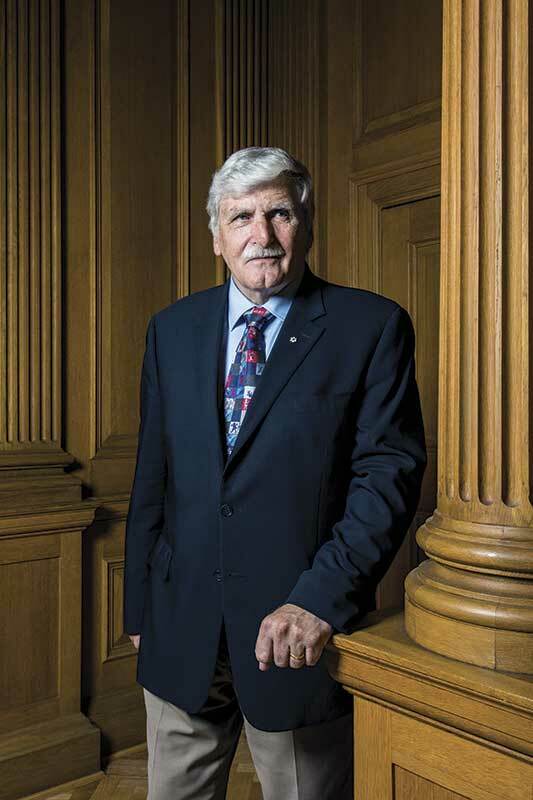 To enter those sorts of conversations—in the case of South Sudan, sometimes with individuals who may well end up before the International Criminal Court on war crimes charges—takes courage, patience and credibility, all traits that LGen Dallaire brings to the table. One of the major projects the Dallaire Initiative undertook this past summer is a new pilot program called VTECS: Veteran Trainers to Eradicate the Use of Child Soldiers. It’s the Dallaire Initiative’s first major program at home in Canada, conducted in partnership with Wounded Warriors Canada. Its goal is to train Canadian veterans to be able to deliver specialized training to prevent the use of child soldiers—in other words, empowering other former military personnel like LGen Dallaire to be able to join the cause and make an impact. Ken Hoffer, a retired naval officer based in Halifax, was involved in several operations in which he interacted with child soldiers, most prominently in East Timor. He heard about the VTECS program while working to create a new charity to support veterans, and saw contributing to the Dallaire Initiative’s work as an opportunity to build on his experiences. The VTECS program is another big step for an organization that’s grown significantly over the past six years, currently employing eight full-time staff, in addition to a roster of trainers around the world and the Dal students in programs like Computer Science and Management it often works with on select projects. But demand certainly outstrips resources at the moment: right now, LGen Dallaire and Dr. Whitman’s top priority is consolidating the success of their work so far and finding the partnerships and support needed to expand the Dallaire Initiative’s reach and impact. “We’re in phase one in a long-term attrition in the use of children as weapons of war,” says LGen Dallaire, acknowledging the value of what they’ve accomplished so far: an innovative, intellectually rigorous and field-focused package of skills, knowledge and experience that they can use to help convince security forces to stop using children in war. 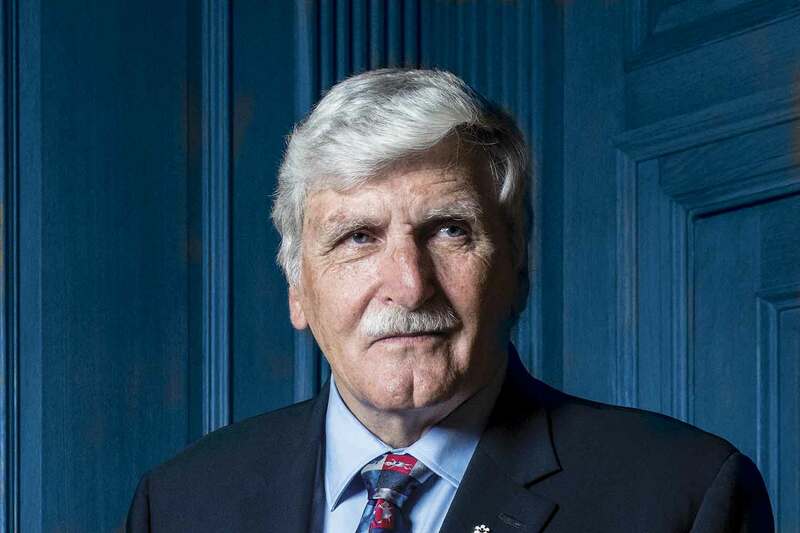 Now a senior fellow for the initiative that bears his name, with Dr. Whitman leading the Dallaire Initiative on strategy and operations, LGen Dallaire believes they’re truly on a path towards a world without child soldiers—though he knows it’s a world he might not get to see with his own eyes.